The rumors are true: longtime local musician Mike Diaz held up a gas station last week. He’s in jail. The details are hazy, but most of the story is there. At 3:30 in morning last Thursday, April 28, Diaz approached the clerk working at the AM/PM at 16th and W. Holding his hand under his shirt, Diaz told the clerk he had a gun and demanded money. The clerk gave him the cash in the drawer and Diaz took off running. The clerk began yelling that he’d been robbed, and two Sacramento Bee deliverymen chased and tackled Diaz in the alley behind the station. They held him down until police arrived. Diaz had no gun, but did have the money – just over $100 – in his pocket. This is one of the hardest stories I’ve ever had to write. I know Mike, and I think of him as a friend. Our bands have played together many times, I know some of his family – he even applied to be a cartoonist for the magazine when we first got MM off the ground. 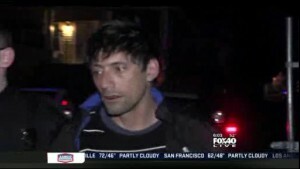 The Mike Diaz I see in the arrest footage (from Fox 40, here) looks like the evil doppleganger of the Mike Diaz I know. This is the Mike Diaz I remember. 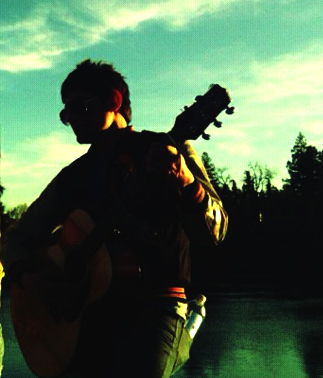 I can’t recall exactly when Mike popped up in the local music scene… it had to be over 15 years ago. 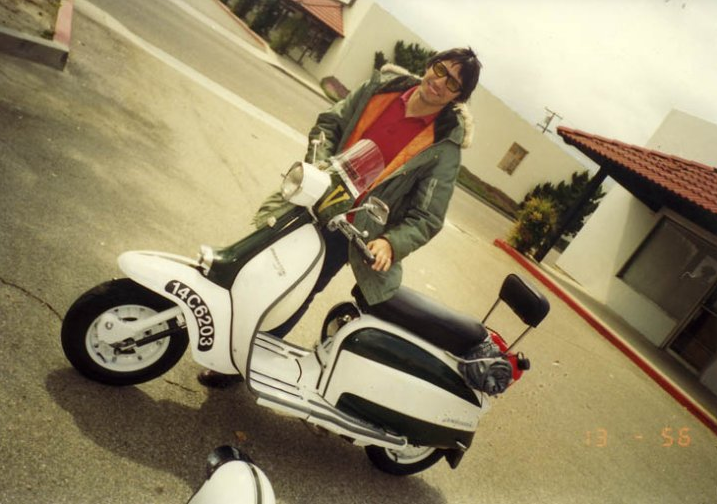 He’d relocated here from, I think, somewhere in coastal California, and was yet another mod guy, looking smart in pegged slacks and his parka, sporting that peculiar Small Faces spiky-topped bowlcut that only Mods can pull off. He had some connection to the News and Review and wrote a complimentary blurb about my band The Shruggs at a time when it seemed like no one else on earth liked us. At some point he started showing up in local mod-flavored bands… I can’t even remember the first of them, but probably the one that really got him some notice was the Payback. The Payback was a show band – perfect for Mike since he had good stage presence and some James Brown moves. The Payback didn’t last all that long, but Mike always landed in another group soon enough. It seemed like he had hit it pretty big when he joined the Minstrels, an incredible Canadian pop band that had relocated to SF. They were all the rage for a moment in the nineties, but now I can’t even find a youtube clip of them. Such is fame, I guess. I’m not sure when I became aware that Mike was having some problems, but it got pretty obvious, even to a devout square like me. Mike has battled substance abuse on and off since at least the nineties. And when I say ‘battled,’ I mean it. Mike went back and forth more than any addict I’ve known. He would descend into the depths, and crawl back out again. When Mike wasn’t using, he was counseling other addicts to get straight, to get their lives on track. He was counseling a mutual friend about alcoholism only a month ago. He knew how close it was at any moment. I know it doesn’t mean much given what happened last Thursday, but he tried. I’m convinced that he really did. Only Mike knows the exact way he came to be at that place and time last week, but I’ve been able to piece together some of the story. He’d had had back surgery at the end of last year, and was prescribed medication for the pain; unsurprisingly, he developed an addiction. He moved out of town to stay with family, trying to get himself sorted out and get off the medication. Then, he made a brief visit to Sacramento -I’m not sure why- and found himself unable to refill his prescription. Withdrawls kicked in, and feeling that he had no other choice, he turned to street drugs; soon enough he was standing outside a gas station with his hand in his shirt. He was so messed up he could barely walk, let alone run away, after he got the money. I’m not making any excuses for Mike. He made a terrible, terrible mistake, and he’s lucky that no one – including him – got hurt. And, from what I hear, he’s also lucky that he is not facing a 10 year prison sentence. I don’t have this 100% confirmed, but it sounds like he’s looking at something under a year in a minimum security facility where he will also get help with his demons. I hope so. I can’t imagine what could have made him do this- again, that’s not the Mike I’ve ever known – but then, I’ve never been an addict. I count myself very lucky. And, though I’m not making excuses for Mike, I will say that most of us have friends or family who could easily find themselves in a situation not unlike Mike’s. I know that some of his friends and family will be very angry with him, and rightfully so. Me, I’m just very, very sad.